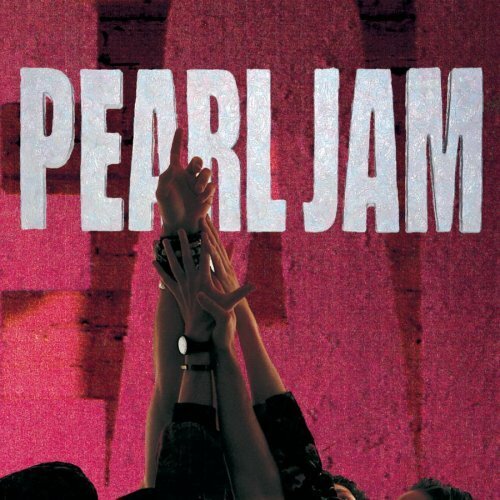 Exploding out of Seattle on the heels of Nirvana’s landscape altering Nevermind, Pearl Jam established themselves as the most popular (and one of the best, despite Kurt Cobain’s derision of their abilities) of all the Seattle “grunge” groups. In truth, aside from their flannel shirts and Sub Pop pedigree (bassist Jeff Ament and guitarist Stone Gossard were formerly in Green River and then Mother Love Bone) there wasn’t anything all that grungy about the band, and this debut album had as much in common with the guitar heavy arena rock bands of the ‘70s as the punk bands that Kurt Cobain so admired. That isn’t to say that punk (or, more accurately, post-punk) isn’t an influence, as Pearl Jam’s sound and lyrics are much darker than any of those good time arena bands, giving their music a fierce immediacy that most of those groups lacked. The band’s musical attack on Ten (named after the number of their favorite basketball player, Mookie Blaylock) is memorably muscular and their song writing consistently strong, while producer Rick Parashar gives these songs a big echoey sound that pleased both Top 40 radio fans and alternative snobs. But the album’s true hero is singer Eddie Vedder, a previously unknown former gas station attendant whose impassioned vocal performances and phenomenal voice would make him a reluctant superstar and give these good songs the edge to truly make them great. It took some time for the album to gain a head of steam, but Ten eventually proved to be an unstoppable ‘90s hard rock landmark that spawned several inescapable hit singles. “Even Flow” is arguably the band’s most arena ready radio hit ever, led by its soaring, singable chorus, while “Alive” matched depressing lyrics (actually, all of the lyrics here are depressing) to uplifting, life affirming music that’s capped off by a blistering extended Mike McCready guitar solo. “Black” may very well be my favorite dark moody ballad ever, led by Vedder’s vocal for the ages. Damn, music doesn’t get any more emotionally devastating (or any better) than the section where Vedder sings “I know some day you’ll have a beautiful life, I know you’ll be a star, in somebody else’s sky but why, why, WHYYYYY, can’t it be, can’t it beeeee miiiiine?”, and the fadeout ending is also outstanding. “Jeremy” is another absolute classic, this one based on a true story about a misfit boy who shot and killed himself in the middle of class at school. The memorable video would be the band’s last for several years, and the song’s incredible surge leads to an exciting extended ending on which Vedder again ensures his enduring legend. If Ten contained only those four songs it would still be a notable release, but its album tracks are also consistently first rate. For example, “Once” begins the album by slowly broiling over before it explodes into rumbling rhythms as Vedder’s intense vocals then captivate on a surging chorus. “Why Go” also chugs along in impressive fashion and contains another memorable chorus as well as another expertly executed guitar solo, while “Oceans” is an acoustic yet epic song with an Eastern flavor that’s exactly the type of track I would miss on later albums. “Porch” delivers hard charging rock that demonstrates how Vedder could make magic with simple “yeah yeah yeah” lyrics (much like the “who who’s” on “Jeremy”), and “Garden” is a moody ballad with another big memorable chorus. “Deep” is the lone song on the album that doesn’t really latch onto a memorable melody (the intensity is still there, though), and the pointless extended ending to the otherwise stellar “Release” (a slow, atmospheric power ballad on which Vedder’s vocals are again flat out phenomenal) is the only other negative I can think of. Still, these exceedingly minor imperfections won’t stop me from giving Ten a perfect A+ rating, as it’s a mesmerizing glimpse into the battered psyche of a troubled soul (songs such as “Alive” and “Release,” both about Vedder’s unresolved issues with his father, are clearly autobiographical and are all the more affecting as a result). More importantly, the dark yet accessible music here is consistently superb, making Ten an instant classic (among many that appeared during the banner year of 1991) that seems bound to stand the test of time.